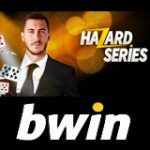 UWinPoker have announced a series of freerolls requiring no deposit to enter, with $500 up for grabs totally free no deposit needed, player value for the series is expected to be high due to low number of players registered at UWinPoker. UWin Poker is an Everleaf network skin that only opened it's doors this week the full schedule of events follows below. 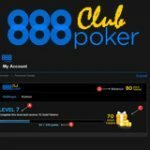 Download UWinPoker, create a new players account and you will get entry to the UWinPoker Freerolls the online room has a fully downloadable poker version or flash based version that plays in your browser with an option to even play via Facebook as a poker app. We are sure cash game players will love the skin as player skill on the network is, lets say limited. 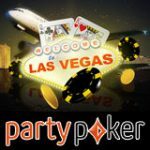 UWinPoker kicks off with daily freeroll tournaments in addition to the many other regular promotions and events running on the Everleaf network which include more daily freerolls, Poker cruise promotion, a Rake race and much more. The below UWin poker no deposit freeroll series requires players to create a new account, this can be done in a matter of seconds, to ensure you always receive details about upcoming events and promotions that will be held at UWinPoker join the UWINPOKER blog and the UWin Poker FaceBook app fan page, regular updates to current promotions and exclusive freerolls will announced on these pages in the future. For those who are confused and may ask: "What are Freerolls ?" The simple answer is that a poker freeroll is simply a totally free event where players get entry without needing to deposit any money yet stand a chance to win some money for their play based on the position the finish the freeroll tournament in. The tournaments listed below require no-deposit i.e. they are totally free to play and only require the creation of a real money account, just in case you win. 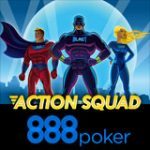 To enter the freerolls, simply download the game then sign up for a new player account real money (don't worry you don't need to deposit). Confirm your email address then login to your player account. 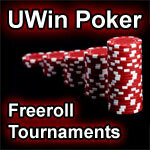 The UWIN Poker Lobby should appear then select the Tournaments tab next select the Freeroll / Special tab, you will see all the events listed below. Select the tournament you would like to play by double clicking or highlight the tournament then click register. Only tournaments with the status registering can be added, please see below dates for more. Please note: Freerolls are subject to meeting the terms and conditions listed at UWinPoker and under 18's are not allowed to participate. 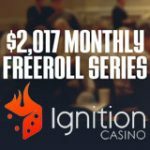 Players who enjoy these poker freerolls, please tell your friends about the room to ensure that we can continue to provide more events as the room grows. The 300% bonus code is harder to clear than the it's 100% counterpart, be sure to review UWinPoker's bonus code requirements prior to choosing a sign up bonus code that best suites your playing style . 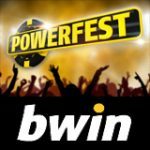 UWin Poker accepts players worldwide including USA, Italy and France the online poker room offers games in either Euros or USD.